It doesn’t have to be a bedroom either! Much cheaper than moving home, as long as you don’t mind a little disruption for a few weeks, a loft conversion can add living space to almost any home. Whilst most people will add another bedroom, sometimes the elevated position can offer greater benefits as a lounge, or an office space. Although some types of roof construction lend themselves to relatively simple conversion, others can present more of a challenge. Low roof height can mean that the roof has to be raised, a setback that can add cost and time to conversion considerations. However, almost any roof-space can be converted and it is always worth considering whether you can gain height by lowering the floor beneath. Older houses often have high ceilings and sometimes this can present a much more economically viable option. A room in a roof will often have the best outlook of any in your home, taking full advantage of views unseen from below. An attractive outlook adds value to a house, especially where you are offered a view across farmland, a park, lakes and woodland or towards the sea. Full length windows can produce light airy bedrooms and add to a sense of height in addition to providing a wider range of angles in which to enjoy the elevated position. You should consider carefully how the room will be furnished, before deciding on a design. it is also important to consider ceiling heights, especially alongside beds, above sinks and where the stairway rises. Consider also where you will position storage furniture, these can often be placed where ceiling heights are lower as access to them is further from walls. Other design issues, such as placing a doorway at the foot of a stairway rather than at the top can add visual space to a room. If design is not your forte, consider using an experienced professional designer or architect, as they will have the knowledge to make the best of your space. 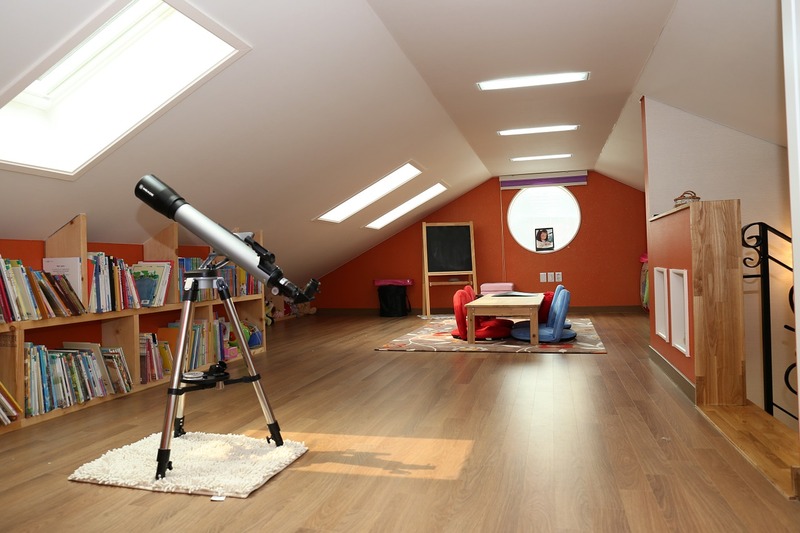 While you will usually not require planning permission, you will need to meet building regulations, as a loft conversion is a ‘material change of use’. These cover matters of safety, including the strength of the floor, electrics, plumbing and glazing, minimum headroom above the staircase, fire escapes and thermal efficiency. The preparation for building regulations can be completed by either your designer or loft conversion company. Adding a loft conversion should make your home more energy efficient too, as the installation of specific insulation is a requirement of building regulations. There are two forms of insulation “cold roof” and “warm roof”, a building control inspector, either an independent inspector or one from your local authority, will determine which is appropriate for your circumstances. If you live in South Buckinghamshire or adjoining areas, you can find out more about building a loft conversion for your home. Just fill out an enquiry form (click here) and we will be pleased to help you further.